Alexa Chung lends her support to emerging British designers | HELLO! Alexa Chung is putting her high profile position in the fashion industry to good use by championing up-and-coming British designers. The 32-year-old has launched the new initiative Villoid Emerge through her shopping app Villoid and role as an ambassador for the British Fashion Council. The app, which launched in September 2015, allows users to share inspirational fashion images and gives designers the chance to reach new audiences and utilise Villoid as an effective marketing tool. It was named Best New App in over 100 countries by Apple when it launched, and has become a hit with fashion fans around the world. "I am extremely happy to announce that we have launched an initiative which aims to support new and upcoming design talent by giving them the opportunity to showcase their collections across our global platform," Alexa announced. "I've always been incredibly passionate about emerging designers and with so much talent out there I'm excited to use this opportunity to discover great new brands and give them the visibility and support they might need at this stage in their careers." Alexa has the support of the British Fashion Council's NewGen initiative, and is encouraging brands to apply for the programme on Villoid.com. The style icon unveiled her exciting project with her Instagram followers in September, humorously describing herself as "Alexa Zuckerberg-Chung", a nod to Facebook creator and tech legend Mark Zuckerberg. "I am pleased and proud to announce that the secret app I have been working on for months is now available in the App Store today!!!" She captioned the quirky photo of herself posing with a vintage phone and her iPhone, with the app open on the screen. "Link in bio. It's called VILLOID (more on that later) and I would love you to play with it and let me know what you think. 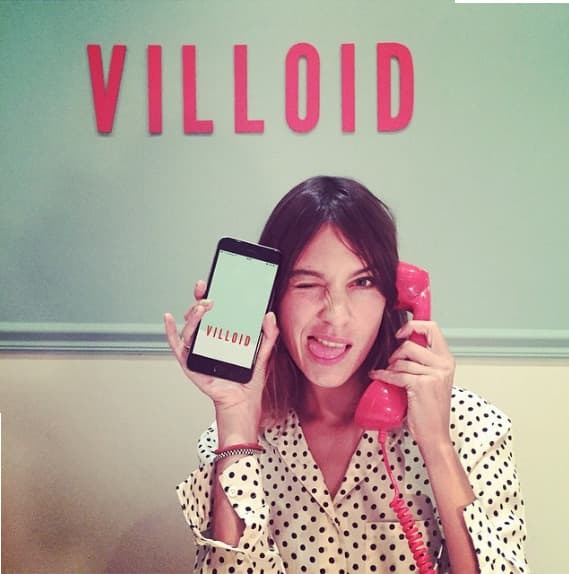 With love, Alexa Zuckerberg-Chung @villoid #villoid."